IEEE INFOCOM has been consistently ranked by Google Scholar and Microsoft Academic Research as the top conference on networking. Achieving such a top ranking statue gives us enormous pride as its organizers and also puts much pressure on us to maintain its status year after year. At the steering committee, we are constantly pursuing improvements and innovations for INFOCOM. This edition of INFOCOM represents perhaps the most significant milestone of the conference series. As the Steering Committee Chair, I am pleased to share with you some insights about this INFOCOM. · 2015 is the year that we instituted double-blind review for INFOCOM. With over 1600 paper submissions, INFOCOM is now the largest networking conference that employs double blind review. · For paper review assignment, instead of having TPC members select what papers to review or letting software do random assignment merely based on broad topical areas, we have employed the most powerful and sophisticated software system, developed by our TPC Co-Chair, Prof. Baochun Li. The assignment by this new software is based on text-based content matching between submitted papers and TPC members’ own publications. To our knowledge, this is the first time that software of this nature has been used for a large-scale conference. Through post-review analysis based on a number of metrics, this new paper assignment software has been proven to be overwhelmingly successful. · To recognize top TPC members who performed exceptionally well beyond the call of duty, we have instituted a new recognition program. About 100 TPC members were recognized as “Distinguished Member of the 2015 IEEE INFOCOM Technical Program Committee” based upon peer ratings on EDAS, a fairness metric developed by the TPC Chairs, and promptness in meeting the deadlines. · We have introduced a new award, called IEEE INFOCOM Test of Time Paper Award, to recognize one or two papers published between 10 to 12 years ago (a three-year window) in the INFOCOM proceedings that have been most cited and widely recognized to have a significant impact on the research community. We are pleased to find that the two papers that won this award have both been cited more than 2,000 times per Google Scholar. What an achievement! We believe these new changes, improvements, and innovations will help maintain INFOCOM as the top conference in the networking community. The success of these changes will position INFOCOM as the role model by other conferences in the community. There are many other facts and traditions about INFOCOM that we should be proud of. INFOCOM continues to attract the largest number of paper submissions on networking from top researchers; INFOCOM enjoys the large number of TPC members at its annual TPC meeting; and finally, INFOCOM is the venue that has the highest attendance of top researchers in networking. We want to thank Prof. Sergio Benedetto, President of IEEE Communications Society (ComSoc), for his strong support to instituting double-blind review process at INFOCOM. Special thanks to Dr. Harvey Freeman, Founder of INFOCOM, Past Steering Committee Chair, and President-Elect of IEEE ComSoc, for personally helping out with conference logistics. The Steering Committee thanks the three TPC Co-Chairs and Vice Chair for Information System for successfully implementing our proposed changes! In particular, Prof. Baochun Li deserves most credit in envisioning, designing, and personally coding a number of software systems to turn all the great ideas into realities. Thank you, Baochun! To ensure continued improvement and success of the new software, Baochun will remain on the INFOCOM organizing committee for the coming years as Chief Software Architect – Review Innovations. The Steering Committee also thanks Prof. Henning Schulzrinne for his full support in implementing the peer TPC rating feature on EDAS. 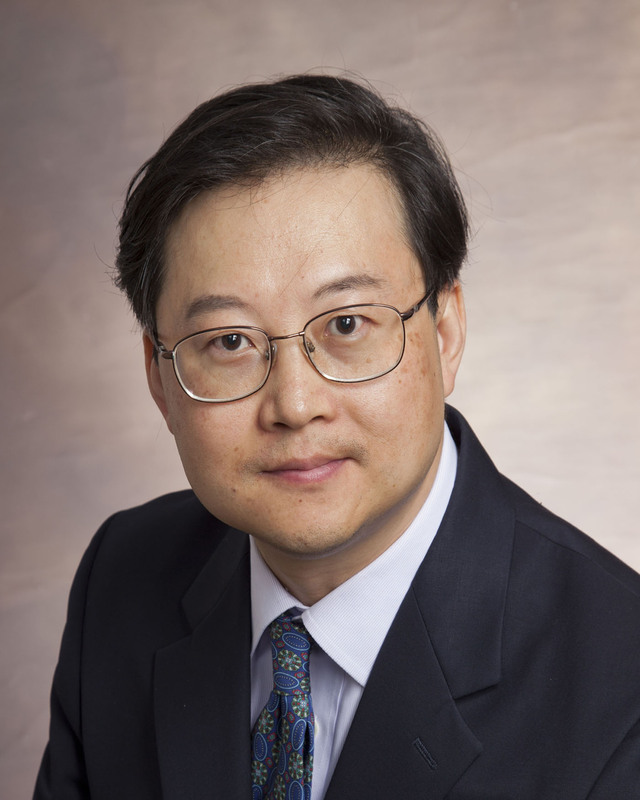 We thank Prof. Jie Wu for hosting a successful TPC meeting in November 2014 in Philadelphia. Finally, we thank the General Chair, Prof. Jiannong Cao, all members of the 2015 organizing committee, and Debora Kingston from ComSoc for their tremendous efforts in putting up a successful conference in Hong Kong. We hope you enjoy the conference and be a proud member of the INFOCOM community. Please share the great news about INFOCOM with your friends and colleagues when you return home!